More lovely Mother’s Day Printables for you today and yes, it is a free printable for you. Today, it is all about Paper Weaving AND Bookmarks. 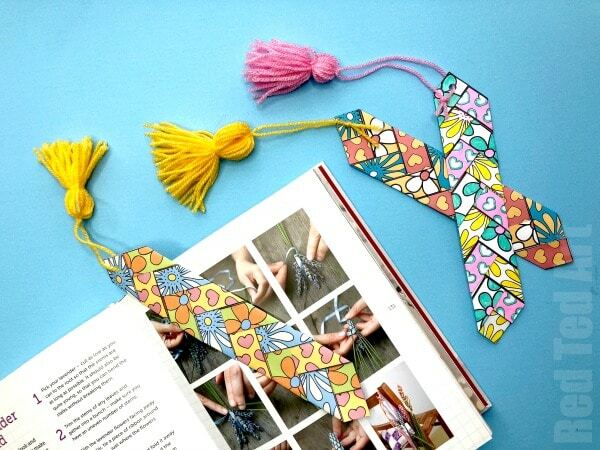 We have some super pretty paper weaving printable designs for you – choose from 2 sets of “ready coloured” bookmarks to weave or print and colour your own. 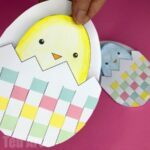 Paper weaving is a fun craft for kids with fabuluos results and these little bookmarks look absolutely adorable at the end of it. 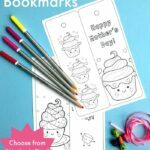 We have a number of wonderful Mother’s Day Crafts for you to check out – which has a whole subsection of Mother’s Day bookmarks from you to choose from – including our easy double side Flower Bookmark Printables and double sides Cupcake Bookmark Printables. 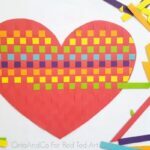 All these fun and gorgeous Mother’s Day designs are a collaboration with the fabulous Mrs Mactivity – a great printable resources website for teachers and parents! Do hop over to take a good browse on what MORE is on offer. 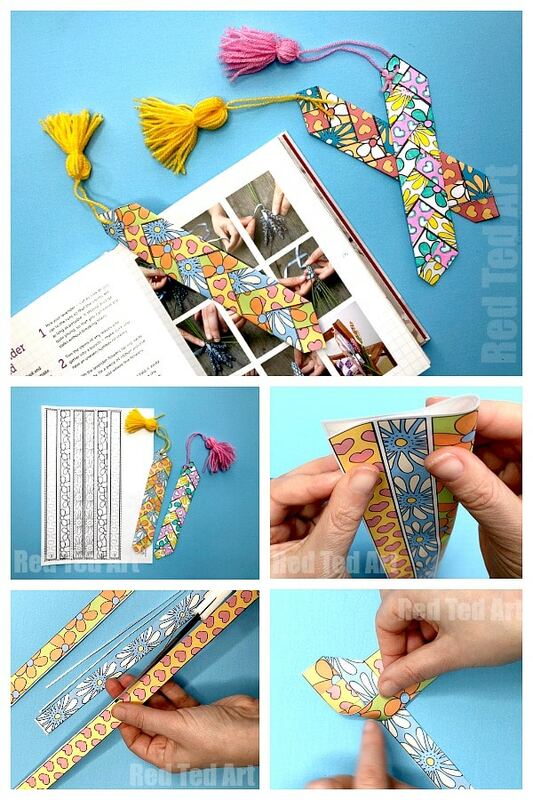 More fabulous Creative Bookmark Ideas available on Red Ted Art! 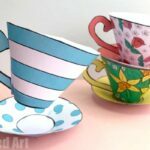 In the meantime.. to our Paper Weaving Printable Bookmark designs for Mother’s Day (or mum’s birthday?!). Note: Paper Weaving crafts are great for children’s fine motor skills and concentration skills. The results are always so pretty too! 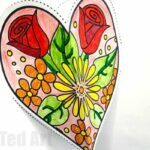 Don’t forget to check out the host of Mother’s Day resources over on Mrs Mactivity’s website too! If you want to add some fun tassels.. check out our great how to make a tassel tutorial! Yes.. as per usual we do have a quick How To video for you!! I hope you like it. Don’t forget that this free Printable from Mrs Mactivity also comes with printable instructions. 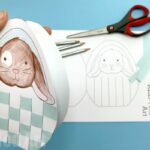 Cut out all strips in one block by cutting around the dotted line. 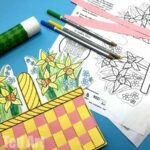 If you chose the colour yourself version, colour in your paper strips. Fold the strips in half – so that both sides aline as perfectly as possible. Make the crease neat. Cut out each of the 3 strips. How to a paper weave 3 strips of Paper. Glue the first two strips of paper together at RIGHT ANGLES. Align the 3rd strips of paper next to one of the two other stripes. Now start alternatively folding down the “left and right” side of your paper weave until you get to the bottom. Secure with a little glue and trim. Your paper weaving printable bookmarks for Mother’s Day are finished. Enjoy! 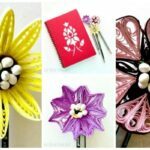 We have lots more great Mother’s Day Crafts for you, as well as clever and Creative DIY Bookmark Ideas! Brings back the joy of the convenience of easily going back to a page of your favorite book. I remember back in the days that our teachers used these pieces of art as token of appreciation in their field of subject helping them wash the dishes in school programs, along with stories at night that we are hearing going to bed. Thanks for this tutorial!